I have been a fan of Dr. Hanson’s work since I first read The Western Way of War: Infantry Battle in Classical Greece years ago while pursuing my undergrad degree in Military History. Carnage and Culture: Landmark Battles in the Rise of Western Power is almost 20 years old at this point and I wish I had read it back then. Since I did not, let me review it now. First the facts: the book is 464 pages of text divided into ten topical chapters with a preface, epilogue, and afterword. There is a glossary, further reading section, and index as well. 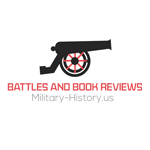 The book is an examination of nine land and naval battles that span the history of the Western world from the ancient Greeks at Salamis in 480 BC to the Tet Offensive in 1968. This is not just a simple narrative account of each battle however. Indeed, all the battles presented are not Western victories as the 216 BC battle of Cannae is one of those described. What the battles are used for is to describe the differences but especially the continuities in the Western Way of War of the past 2 ½ millennia. Each chapter starts off with a description of the circumstances, context, and a narrative of the battle concerned. That is just the jumping off point however as Dr. Hanson then goes on to examine in detail the what led to the battle and its immediate aftermath. He examines and describes the cultural characteristics of victor and defeated and uses that discussion to show why and how the battle is relevant to his larger discussion of attempting to understand why the West has been singularly successful in waging war over the course of recorded history. That discussion of western military success is what the book is really about. He attempts, and largely succeeds in my opinion, to show that there are certain cultural qualities to western militaries that have led to consistent western military success. The main qualities he identifies are 1. A free citizenry 2. Civic militarism 3. Discipline in the ranks and 4. Collective vice individual heroism 5. A preference for decisive battles and 6. A desire for enemy annihilation/destruction over negotiated settlements. I have to say that I agree with him on these points and he brings some pretty strong arguments to bear to prove his point. He is at pains to point out that there is nothing racial about his argument, it is completely cultural and he is right. There are people, lay and academic, that seek a racial argument for just about everything but that argument falls apart when you simply look at facts and facts are what Dr. Hanson is presenting. The fact is the West has historically been more successful militarily and as is so eloquently pointed out in this book the most deadly wars the west has fgought has been when westerners fight each other. When westerners fight other cultures the body count is almost invariably lopsided in the West’s favor. It is possible to acknowledge that this is so and try to analyze why and that is what this book attempts to do. Dr. Hanson as always, writes in an engaging style that almost demands the reader think about what is being while you are reading it. He presents some very thoughtful evidence and analysis. What is missing, and that may reflect when the book was written, is that the modern West seems to be moving away from its winning formula and an analysis of why that may be so. I highly recommend this thought provoking and well-written book.